The travel and hospitality sector is always changing and growing. As a result, it makes total sense that their online representation is at par with the growth and excellence. A slew of websites is now busily attuning themselves with the latest trends and themes. We have a handpicked a collection of amazing Joomla travel themes – heavily packed to be serviceable to websites in every way. The designs and features are variable in each one of them. Take a look! This is a fun travel theme which is apt for travel agencies and management firms. The designs and features built-in the theme is a combinative mix of modern and high-performance. The features include full-screen slider with a mega menu in the header section and many full-width images with parallax effect in the contents. Applying changes in the theme are easy and quick. 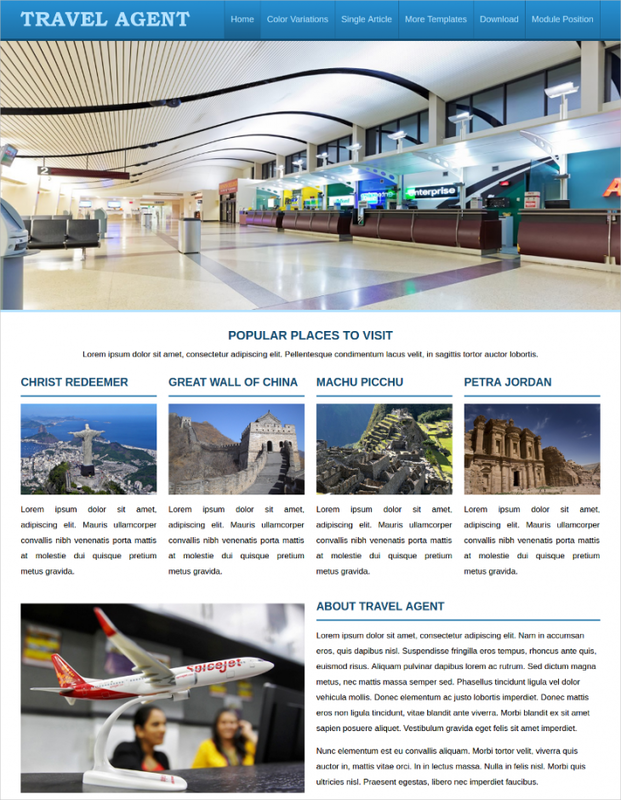 If you’re looking for a one-page website template for your travel website, take a look at this specimen. This theme is just appropriate tour companies, luxury travel agencies, and other holiday businesses that want to establish or strengthen their online presence and value. In terms of plusses, the theme is fully responsive, loaded with new-age technologies, and it is fully customizable. 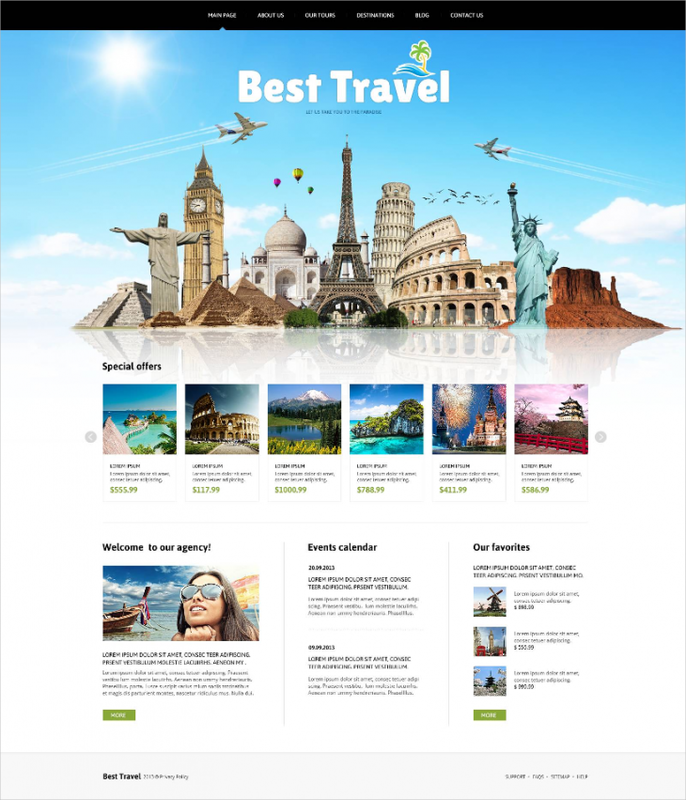 Boost the traffic of travelers and holidayers of your travel website by choosing this uber-modern and simple theme. It is wired with all the qualities – fully responsive, advanced options panel, fully-customizable, Favicon, Google Maps, Social Options, Sample content etc. 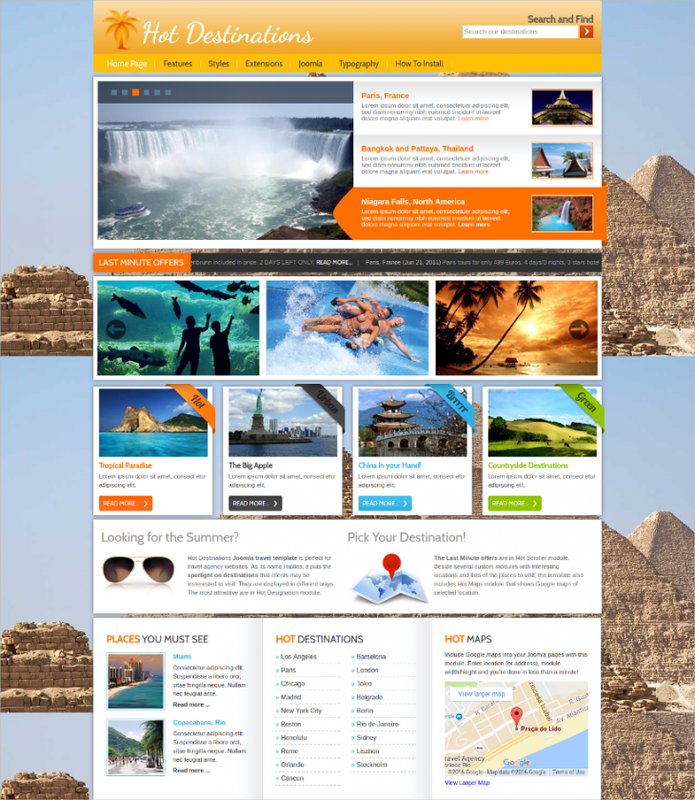 – which make it a good fit for the websites of the travel industry. 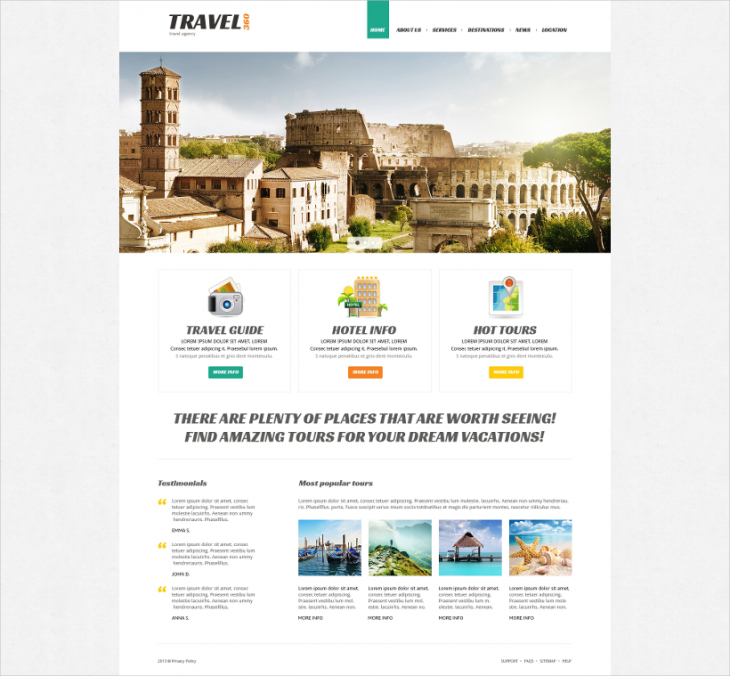 Regardless of whether you’re a travel startup or an established travel company, this theme is decked with all the necessary features which will not only augment your brand value but also your online presence. This is a fully responsive theme, power-packed with multiple customization options, color changes, rich admin panel, and much more! Put your travel business into fifth-gear already! 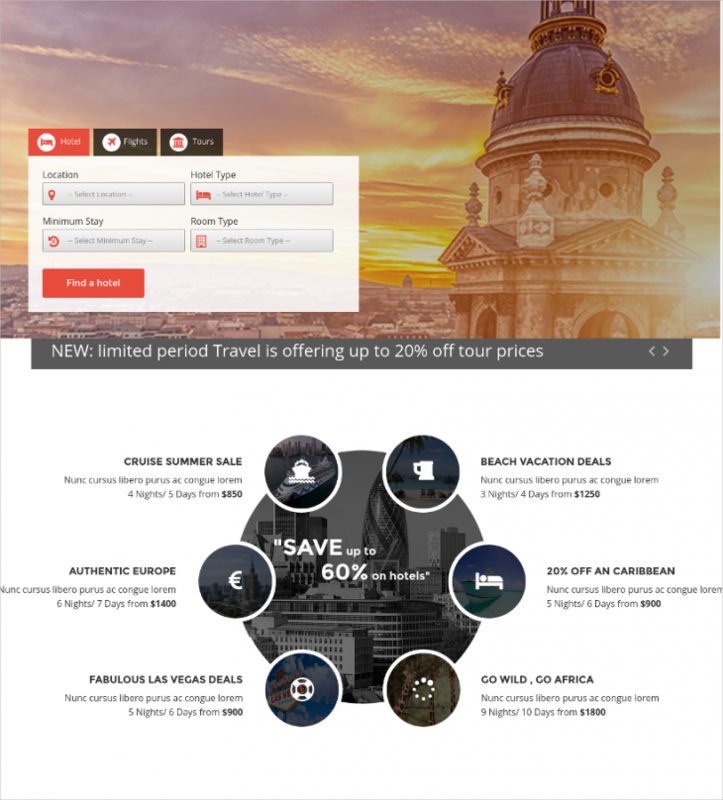 This theme is deceptively simple because it is loaded with some great plus points which are poised to improve your travel business. You can easily incorporate high-res imagery, there is a nice vertical mirror effect to take visitors on a sightseeing tour of their favorite places. 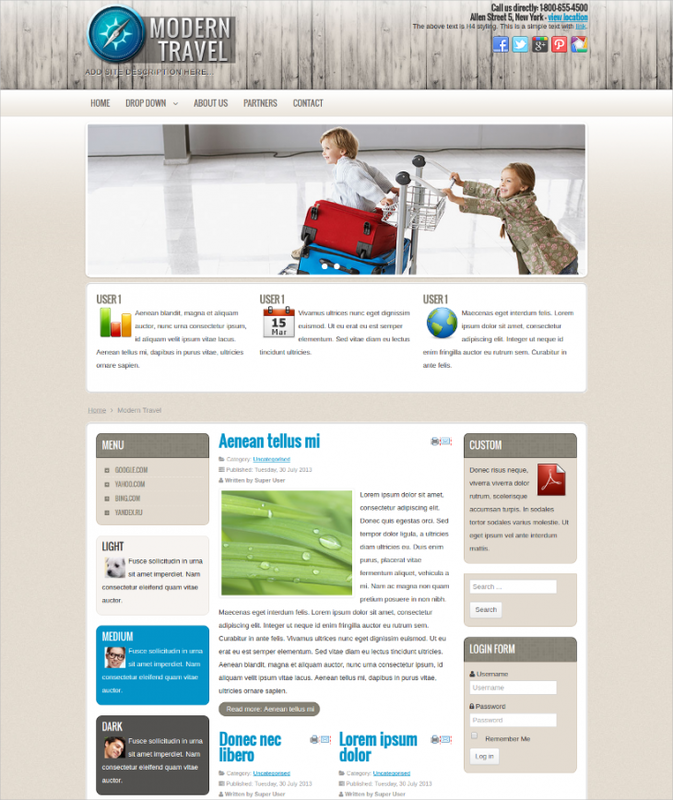 Moreover, the layout of the theme supports heavy-duty content upload. This is the Paradise Responsive Joomla template which is built on a Bootstrap framework, it is a fully responsive theme and wired with high-resolution features including the likes of additional HTML elements, a set of CSS components, grid system and lots more. The USP, of course, is the fresh design amalgamated with a host of features successfully. There are many advantages installed in this Joomla theme template which make it another very ideal choice for travel websites. If you’re an admirer of minimalist website templates, this particular website template is a winner in that category. With its fully-responsive design and layout, the visitors will also fall in love with your website thanks to the high-res images which you can upload in the template to improve the overall atmosphere and navigation experience on the site. This is a versatile travels and hospitality sector specialized theme which is a good fit for a website of hotels, resorts, package tours, events, honeymoon, cruise, travel agency, tour operator, travel blog, adventure shops, travel directory, hotels directory… the list is endless. The features lineup includes full width slideshow, MegaMenu – menu items with icons & module support, shortcodes and much more! This Joomla theme is available in 6 color variations. The design and layout are fresh and the reviews have been glowing, thanks to the top-level design and features attached to this theme template. 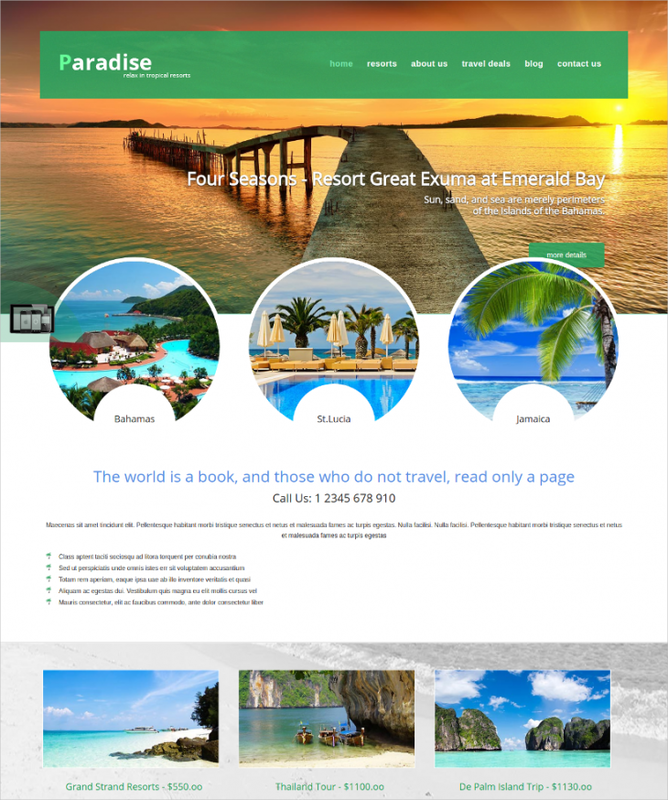 You could use this theme for personal travel website as well as a commercial travel agency set up – this theme would cater to both. The theme is powered by T3 Framework 2, it is also packaged with various complimentary extensions. 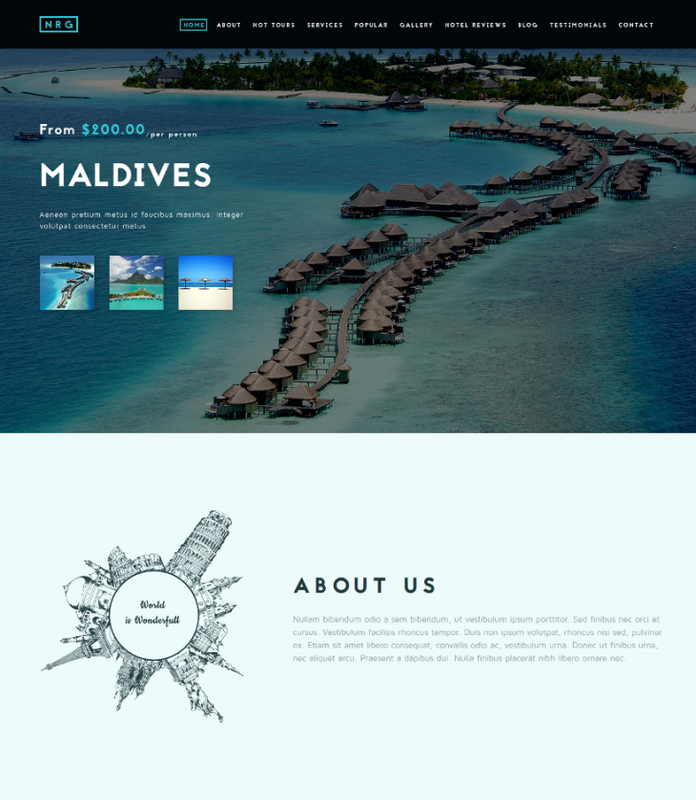 This is a flat design Joomla theme template which is pertinent for websites of the travel and hotel industry. The template is fluid and flexible. It has a fully responsive design and layout, coupled with unlimited color and background options,4 image backgrounds, 25 background patterns, 6 unique predefined template styles, 7 custom module styles and much more! 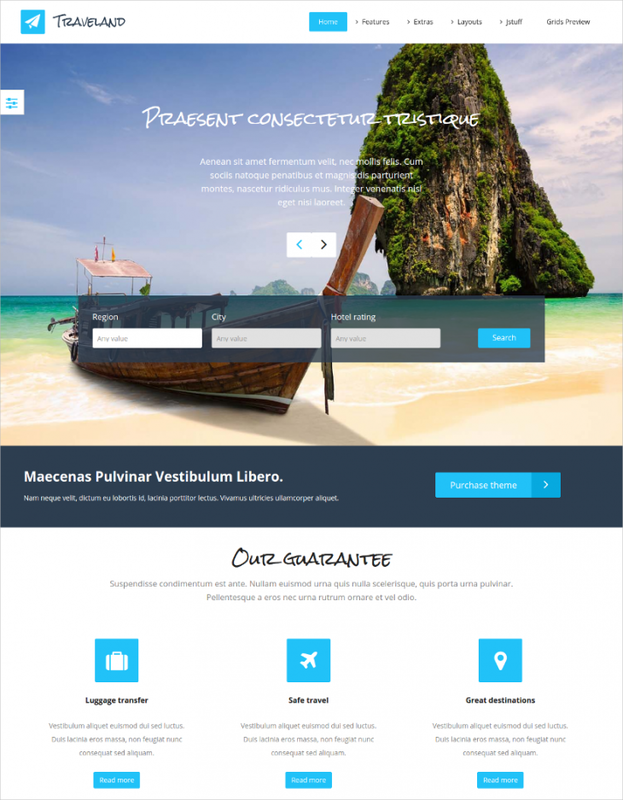 This is a premium travel Joomla theme and it’s features have been divided into three categories – depending on the category template you purchase. The categories are Bronze (Free), Silver($35) and Gold ($)55. If you opt for the free template, you get to take advantage of basics such as Fix Bugs Support Only, single background design, 3 Layers Dropdown Menu, Up to 5 Blogging Columns, 20 modules, unlimited domain and much more! 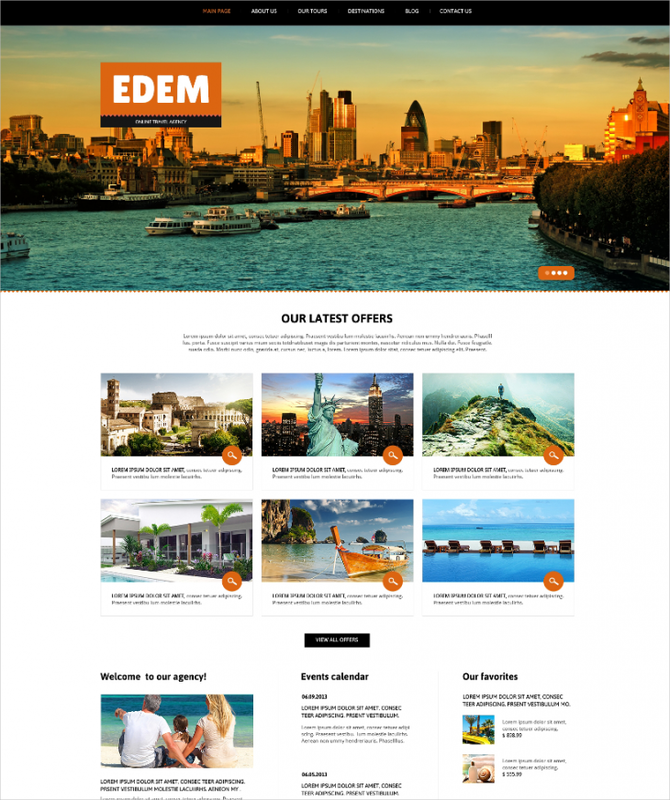 This one is a hot-favorite Travel Joomla template which is really been a kicker of sorts for travel and holiday-themed websites. With its fully-responsive and animated design and layout, combined with 4 pre-defined styles, customizable color options, Hot Joomla Gallery and Carousel, this template is a total winner! Whether you run a travel blog or Travel website, as long as you have an affinity for sharing many travel images, this theme can be your website’s best friend. The theme has a fully responsive design, it’s got a modern and slick appearance, SEO optimization, the theme is fully customizable and you can change colors too! Wired with all the latest cool effects and trendy technologies, this is an inspired theme option which has been created fittingly to suit the needs and specs of holiday and travel web portals. The responsive theme is built on YT-Framework and particularly designed for Joomla! 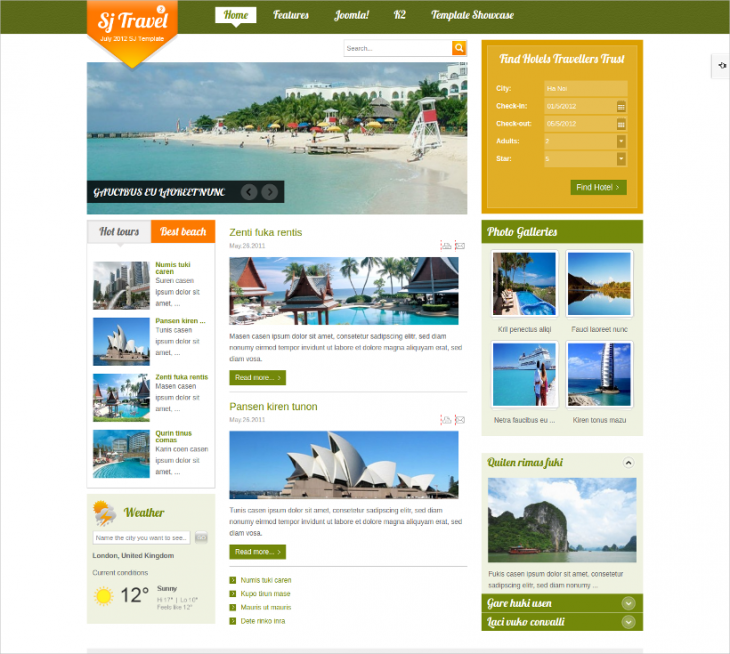 2.5 and Joomla 3.x, this SJ Travel II – Joomla! Template. 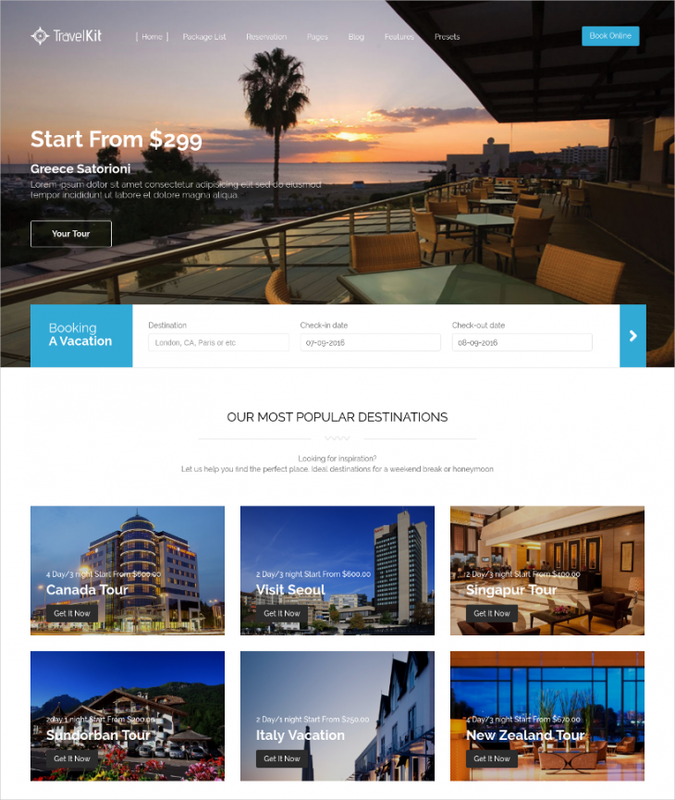 Check out this very impressive and elegant travel and hotel Joomla theme. Even if you’re running a travel and hospitality blog with travel and holiday packages and offers, this theme has got all the goods to be the spine of your portal. The design and layout are attractive and the homepage has an assortment of different tabs. 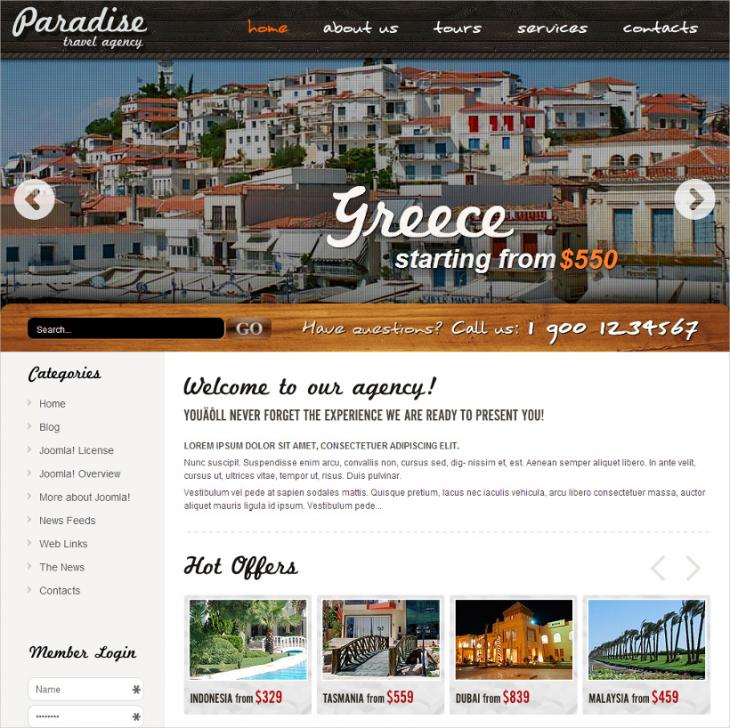 Give your clients and visitors the ultimate travels and vacation feels whenever they visit your website. 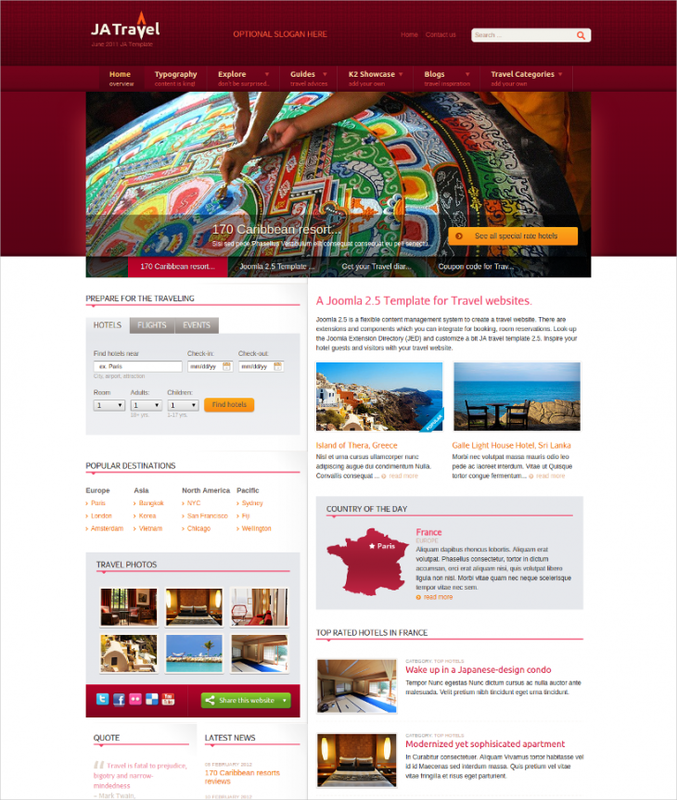 The theme has an infectious holiday feel, and that’s why it is a must-have if you have travel and holiday web portal. 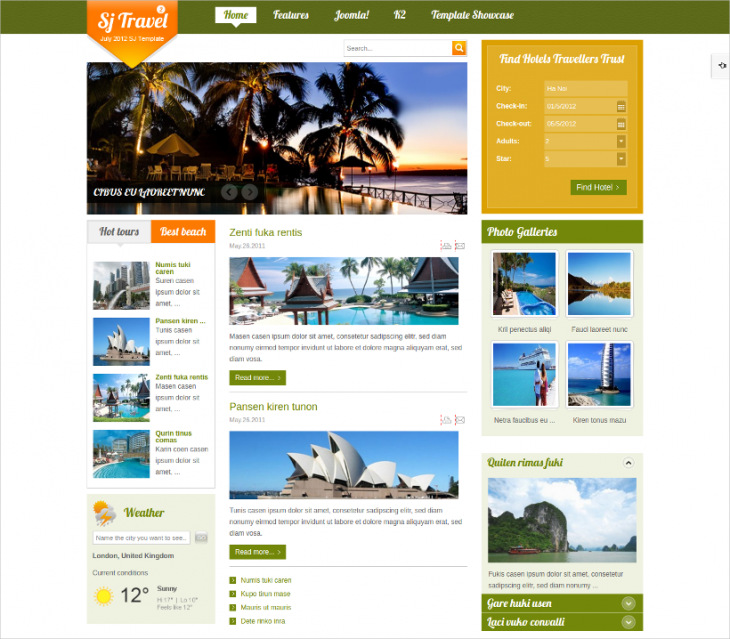 This is an ideal Travel Joomla theme in more ways than one! 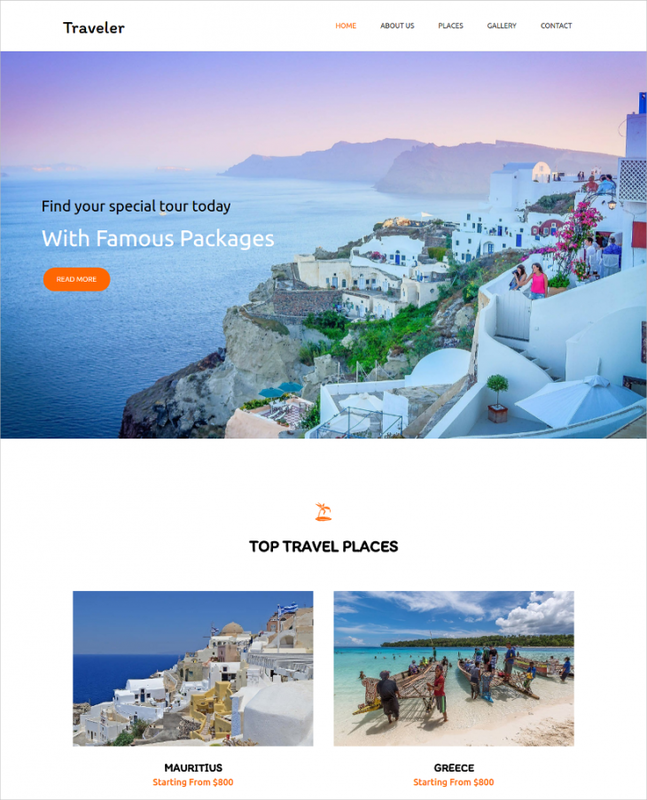 The makers of Joomla travel themes need to be lauded for being so innovative and inventing so many well-designed and well-endowed themes to support all kinds of travel, holiday and hotel websites. Whether you’re a pro or a rookie, these themes will never make you feel being out of sync. Download and boost your travel and holiday endeavors!